Since sharing a list of yummy homemade toppings for your ice cream, it is only fitting to share how to make ice cream cones to pack all that goodness into. Here are a few of the most delicious finds from Foodista members. Have your own recipe that you would like to share? Submit it! 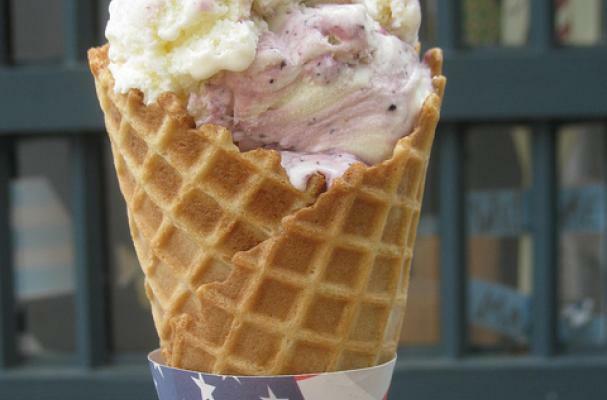 Who can resist the light crunchy taste of a waffle cone? Dip the wide end into warm chocolate, for an extra special treat. Delightful vanilla cone, cooked up light and crispy, with almonds! These delightful cookies make perfect cones for holding your favorite scoop. They don't have to be perfect, the little hole in the end can be stopped up with a mini marshmallow. I love the idea of adding a bit of lemon to the krumkake recipe. Delicious!